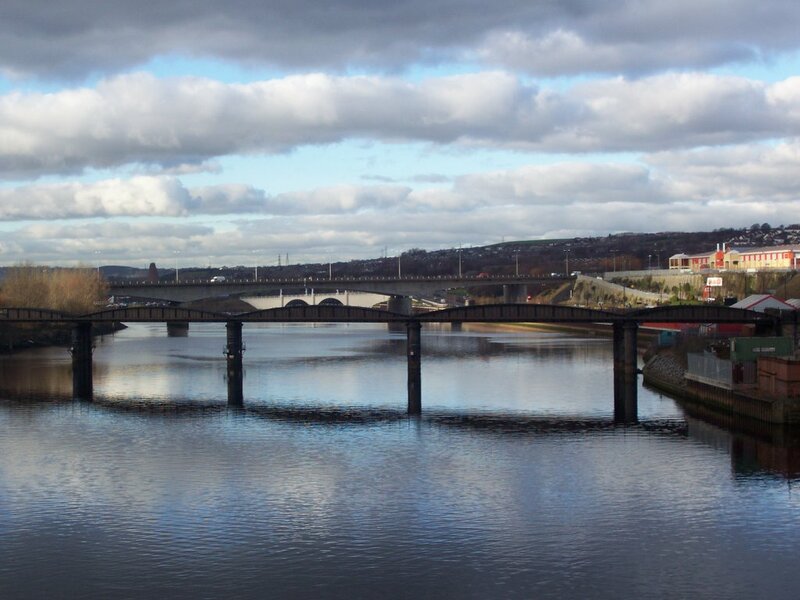 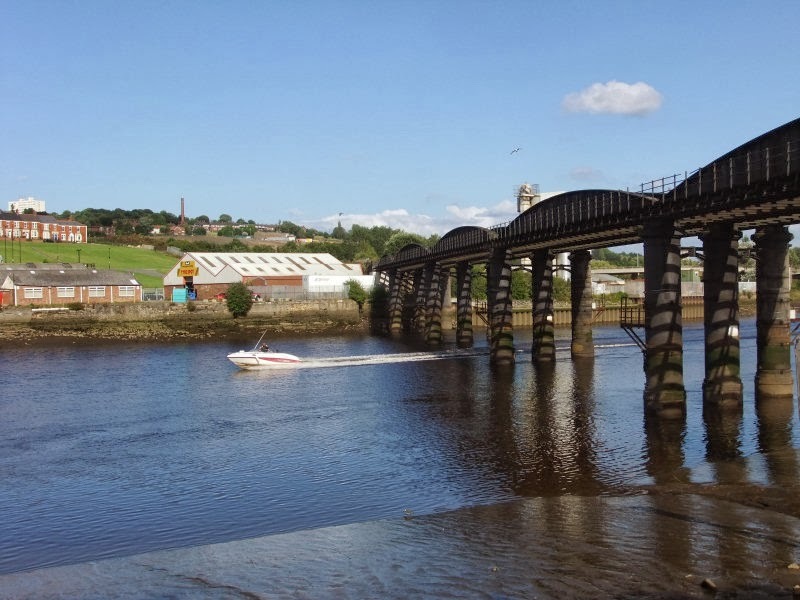 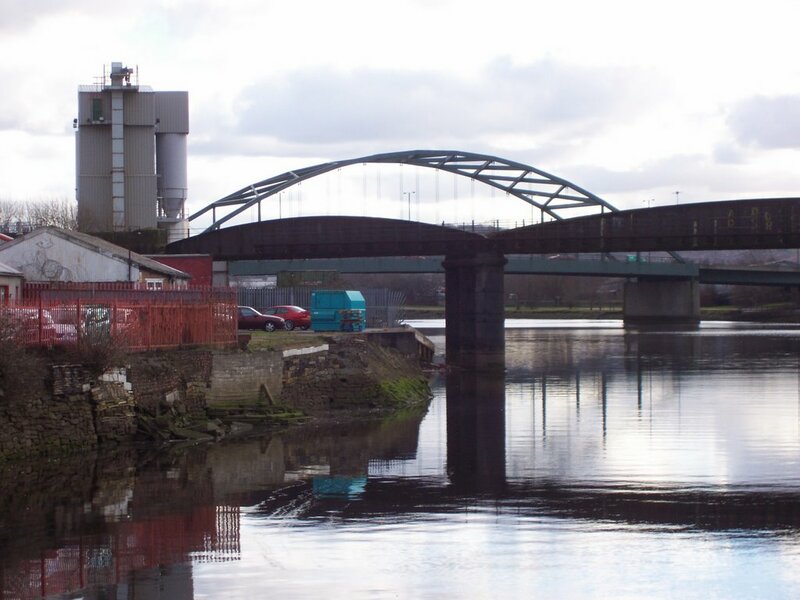 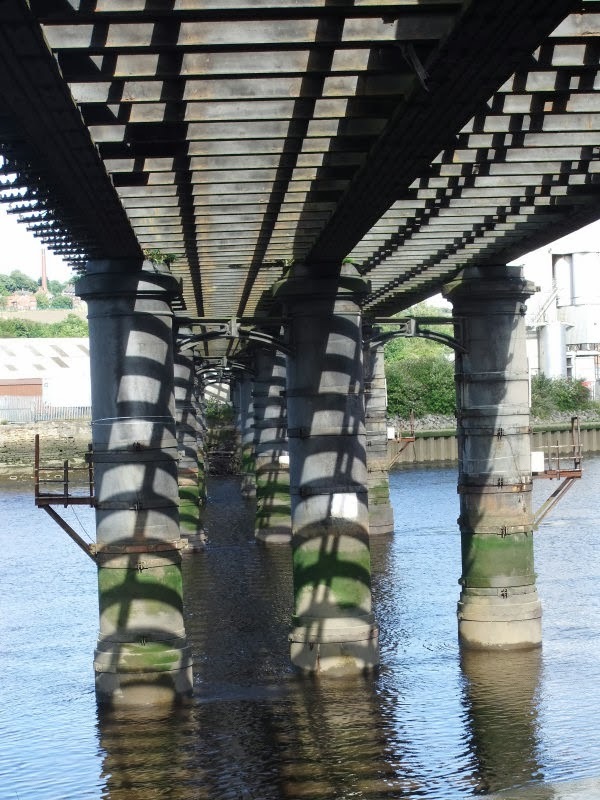 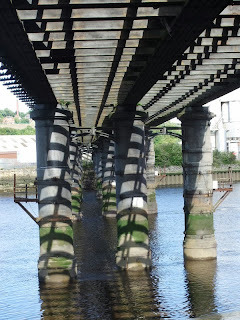 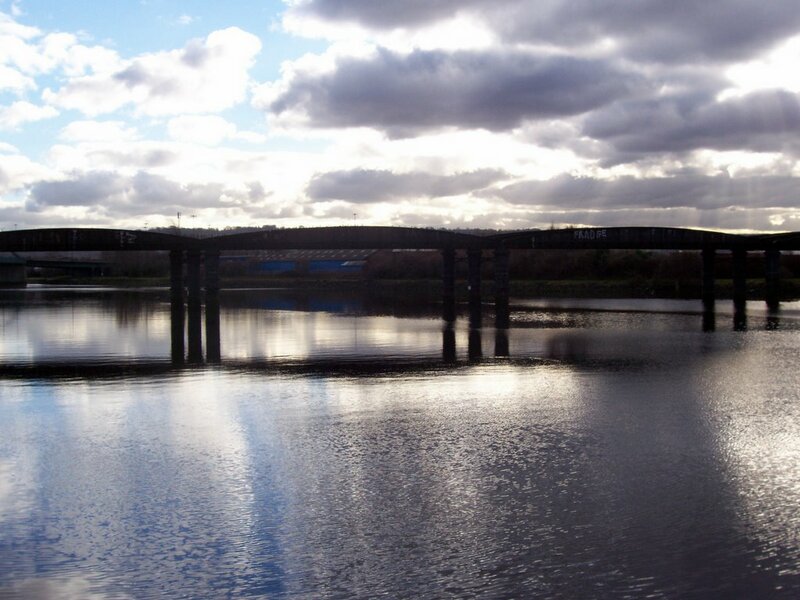 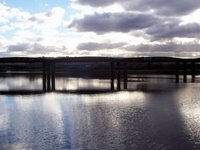 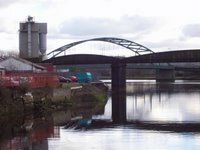 The Scotswood Railway Bridge was opened in 1871 and cost £20,000 to build. 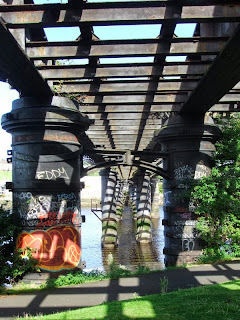 It is a six-span wrought-iron hog-back bridge on five cast-iron cylinder piers. 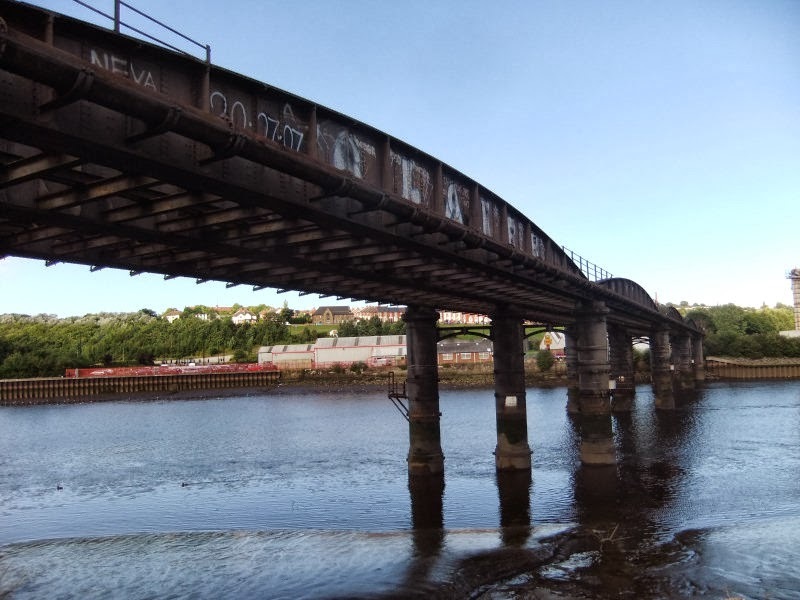 It was set at an angle to the river so that trains could approach the bridge at speed, there being no sharp curve onto the bridge. 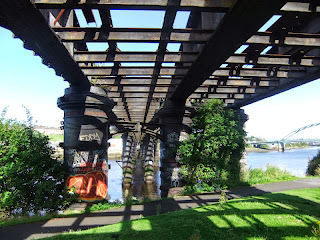 It required strengthening in 1943. 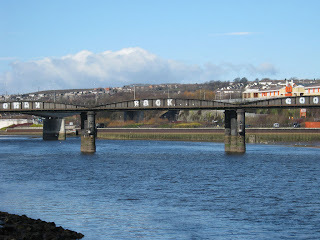 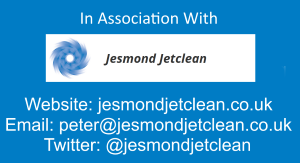 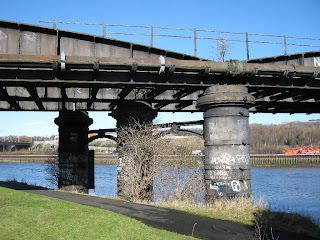 It was taken out of use permanently in November 1982, along with Scotswood and Elswick stations, when the trains on the Newcastle and Carlisle Railway were re-routed across the King Edward VII Bridge and through Dunston. 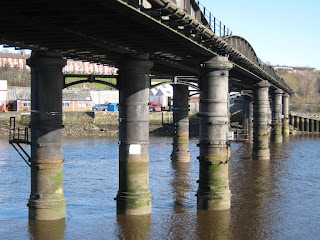 Goods trains continued to use the line on the north side of the Tyne up until 1982 when British Rail closed the bridge as it was uneconomical to repair, train services were diverted via the King Edward Bridge into Newcastle. 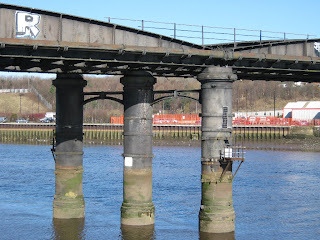 The bridge is still used to carry water and gas mains over the river but the railway tracks have been removed and it is no longer possible to cross safely.